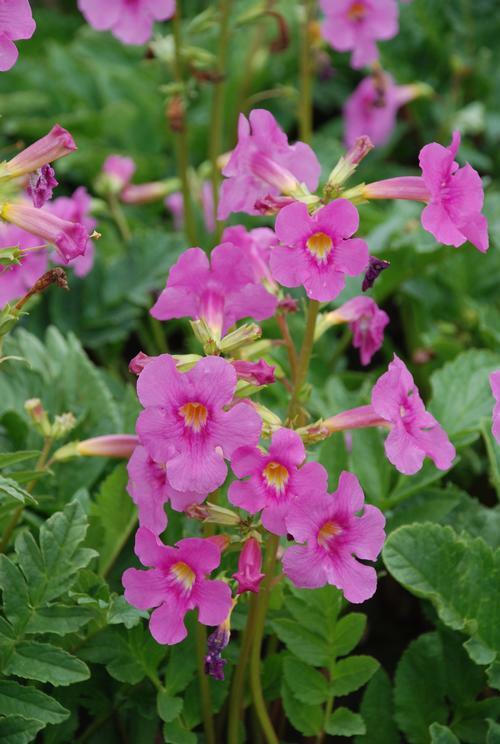 Forms low growing rosettes of deeply divided leaves, tall stems with terminal clusters of bright rosy-pink trumpet-shaped flowers. Forms large tap roots and blooms spring to early summer. A tender perennial. Excellent pot crop for Mother's Day sales.